Beta has a striking resemblance to a donut, but isn’t as tasty. The protein is actually a dimer, with the arrows showing the dimeric interface. Each dimer has three domains comprised of two beta-sheets and two a-helices. The Escherichia coli beta-sliding clamp (beta) is an aptly named DNA replication protein. It is clamped onto and slides along DNA, recruiting other replication proteins to the DNA during the different stages of replication. What makes this an interesting protein is the nature of these interactions, as every protein that interacts with b binds in the same pocket by very similar amino acid motifs. On the structure, the consensus amino acid motif (QLDLF) is bound into the pocket. This conserved binding has made the E. coli beta protein a target for novel antibiotics, and many potential antibacterial small molecules have been published. 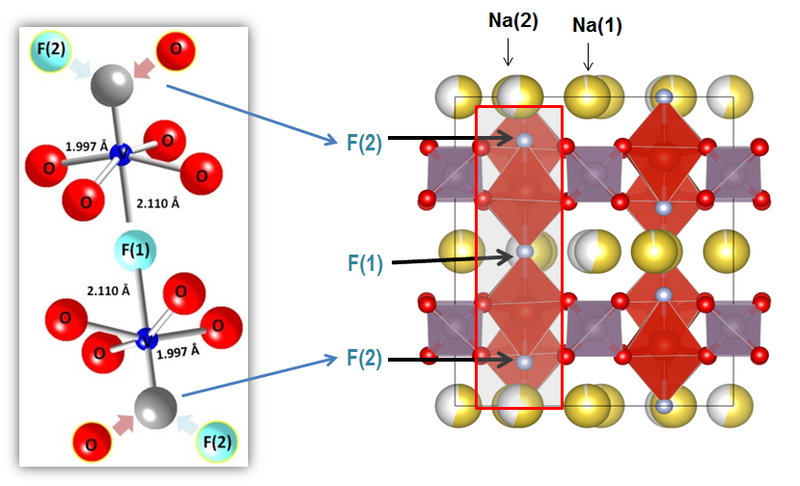 The first crystal structure was solved by X.P. Kong and colleagues in 1992  and since then, many structures of E. coli beta in complex with protein binding partner consensus motifs  and small molecule inhibitors  have been solved. Ethane is one of the simple hydrocarbons, with and has a number of uses and nuisances in wider life and industry. Like methane it’s one of those materials that people only think of as a gas. But, like methane (and indeed every other gas) given cold enough conditions ethane will freeze to a solid. Ethane in particular does this at 90 K, where it becomes a plastic crystal – meaning that the molecules within the structure are rotating. This means that the structures is very simple, a pack of spheres in a body centred arrangement (like Roentgenium). However, this plastic phase has only a very narrow range of stability, when you cool from 90 K by only 0.5 K, the rotation of the molecules stop and the structures becomes monoclinic (ie much less symmetric than when it first freezes.). There are lots of reasons that this is interesting from a fundamental point of view, but when you think about the lakes of Titan the freezing of solid ethane becomes a process that could sculpt this icy moon. Titan is the only other body in our solar system known to have liquid on the surface, great seas and lakes that are thought to be made up of methane and ethane. But the surface temperature of Titan is about 90 K, so as the temperature skirts about this parts of the ocean could freeze and then melt when things got a little warmer. Could it explain the mystery ‘island’ observed by the Cassini spacecraft recently? The structure of ethane, both the plastic and monoclinic phases, were discovered in 1978 by van Nes and Vos. This work was published in Acta Cryst, and the structures can be found in the Cambridge Structure Database (CSD) (refcode ETHANE for the plastic phase and ETHATE 01 for the monoclinic phase). 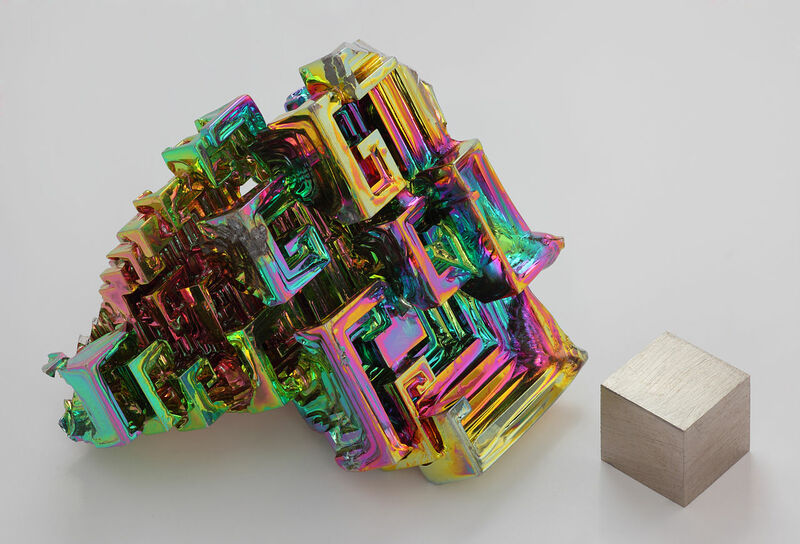 June is a lucky month; it has two possible birthstones, both crystalline. We have already talked about one of the possible birthstones – moonstone. The other option is a Pearl. 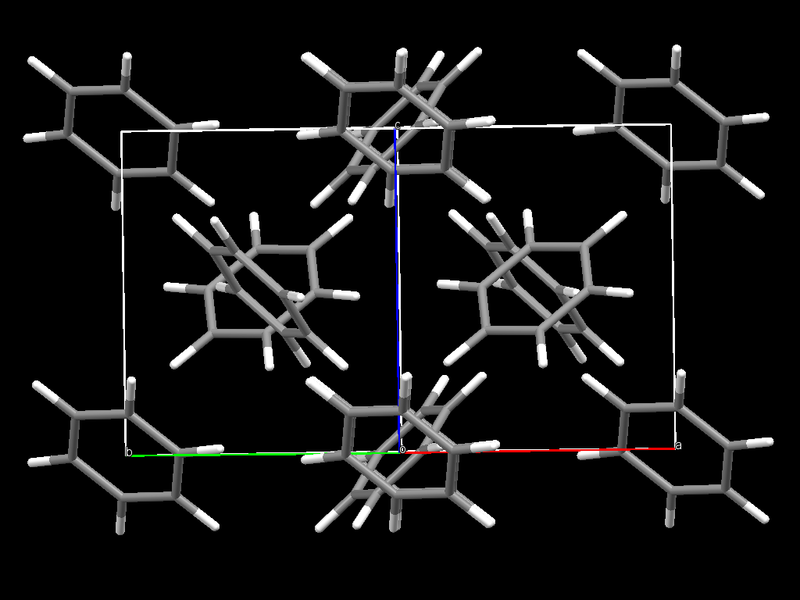 Made up of a variant of CaCO3 – Aragonite. 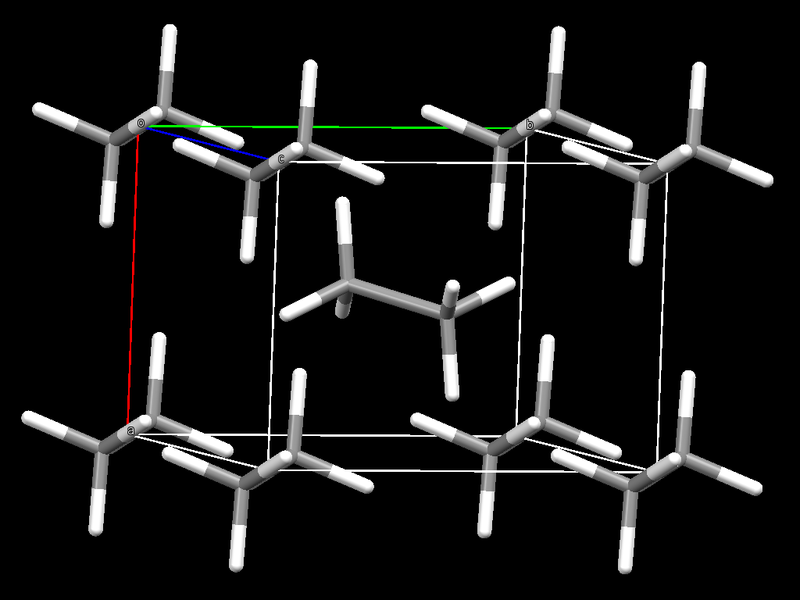 The aragonite structure, CaCO3. Ca is yellow, C is green and oxygen is grey. 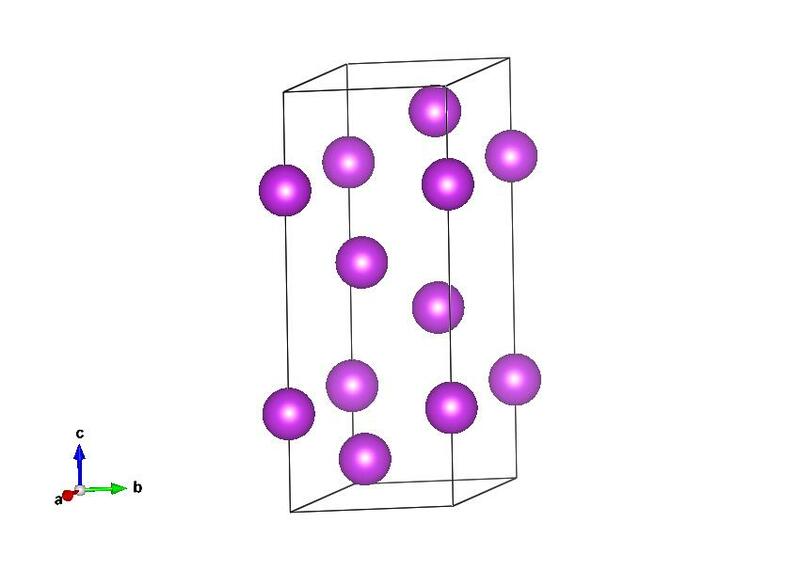 This picture was made using the diamond crystal structure visualisation software package. Pearls are produced naturally by Molluscs as a way of removing irritants from their shells. This irritant is usually a parasite rather than a particulate irritant such as sand. In theory any mollusc can produce a pearl but the best quality pearls with the best iridescence are produced by oysters. Cultured pearls are grown by introducing a tiny piece of foreign tissue from another shell. This then starts the growth of a pearl sac and ultimately the precipitation of aragonite and a pearl. Cultured pearls are distinguished from their natural counterparts by an X-ray. 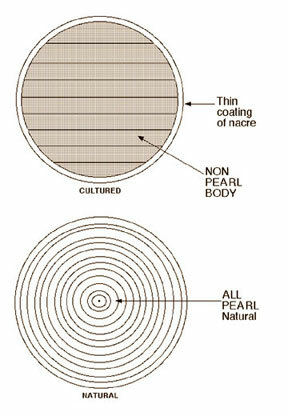 The figure below shows the internal structure of a cultured vs natural pearl. Both are built up of layers but the layers are oriented differently. This structure is from: Antao S M and I Hassan (2009) The orthorhombic structure of CaCO3, SrCO3, PbCO3 and BaCO3: Linear structural trends The Canadian Mineralogist 47 1245 and is available on the AMCSD. Lipopolysaccharide (LPS) is an essential component of the bacterial cell wall and protects bacteria against antibiotics. The LPS translocon complex, consisting of two proteins (LptD:LptE ) is critical for transport and insertion of these protective LPS molecules in the outer wall. Thus, targeting these essential proteins in the bacterial cell membrane may be novel mechanism for developing antibiotics against multi-drug resistant bacteria. 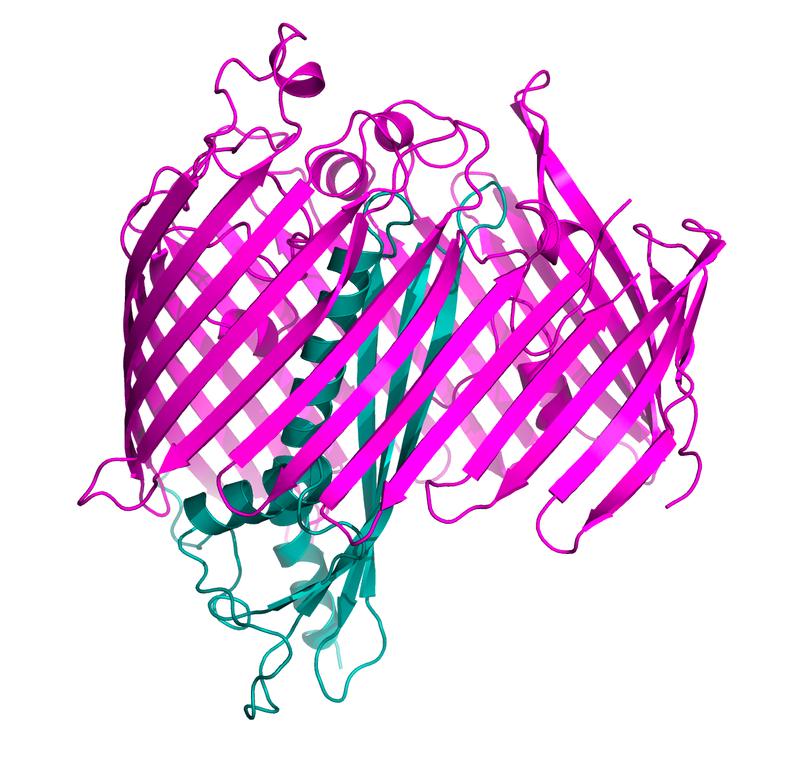 LptD (pink) forms a novel 26-stranded β-barrel, which is reportedly the largest β-barrel protein structure known to date. LptE (aqua) adopts a roll-like structure located inside the barrel of LptD. Together these proteins form a unique two-protein ‘barrel and plug’ architecture. LPS is passed sequentially from LptC to LptA and then to the LptD:LptE complex, and is finally inserted into the outer membrane of the bacterium. 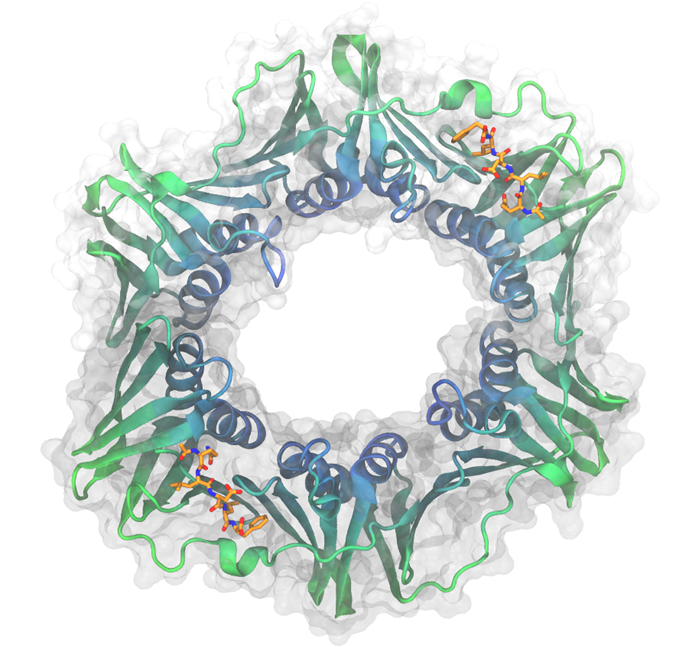 This structure of LptD:LptE complex from Salmonella typhimurium was determined using the Diamond Synchrotron Light Source and published in Nature in June 2014. Understanding the mechanism of LPS insertion into the outer membrane of bacteria may help develop novel antibiotics.